A while back, Stephanie posted this pattern. I instantly cancelled my plans for the day and made a 60"x72" quilt as I mentioned HERE. It is finally quilted and bound. My lights are terrible, (Oh when will it be spring/summer again?) but You can see the scrappy quilt and the scrappy binding. 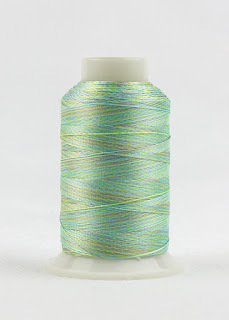 I grabbed one of my favorite colors of FabuLux thread, Olive Trees, and stitches swirls along long vertical lines. The olive thread looks quite golden on black fabric, and that makes me very, very happy. Thanks, Stephanie, for a great quilt pattern and a great reason to play hookie! 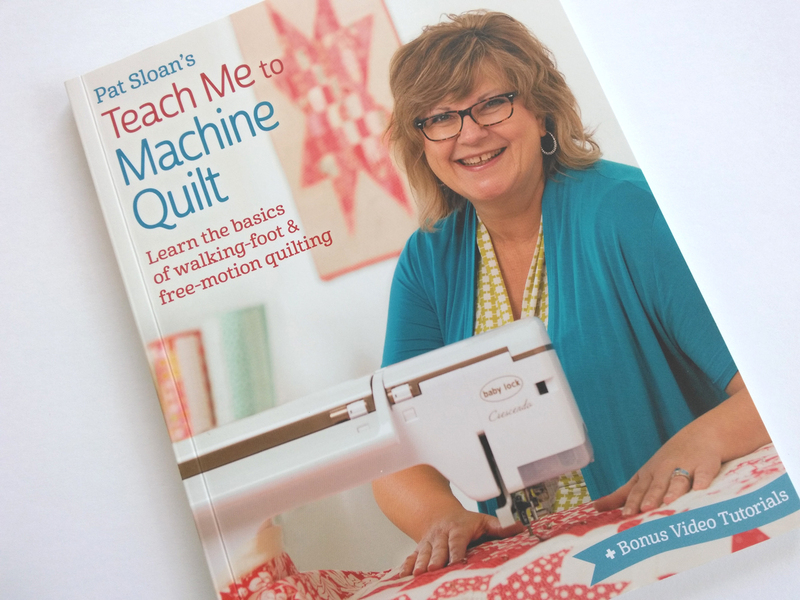 I am so excited about Pat Sloan's latest book, Teach Me to Machine Quilt. I spend most of my time machine quilting and am always learning more about it. I've read Pat's book through several times already, and I know it will live on as a reference in my sewing room. 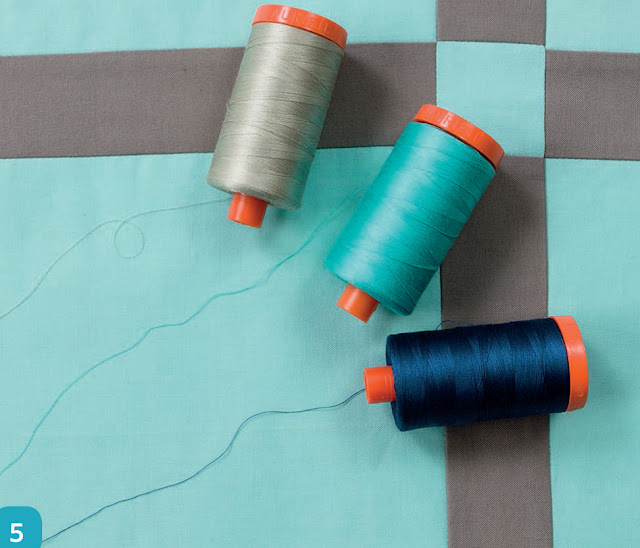 She presents excellent information about preparing your quilt top for quilting, basting, thread choice, tension, and so much more! I spend most of the winter quilting in front of my fireplace and I have picked several projects from Pat's book to keep me busy until spring arrives! Pat teaches how to practice quilting using decorative stitches. I think I hear a few jelly rolls are calling my name! Martingale is giving away 5 copies of Pat's book (ebooks for non US residents). Click HERE to enter the giveaway by December 1, 2016. Nov 26 - My Birthday!!! To keep in touch and see what's going on in my studio, sign up for my newsletter HERE. 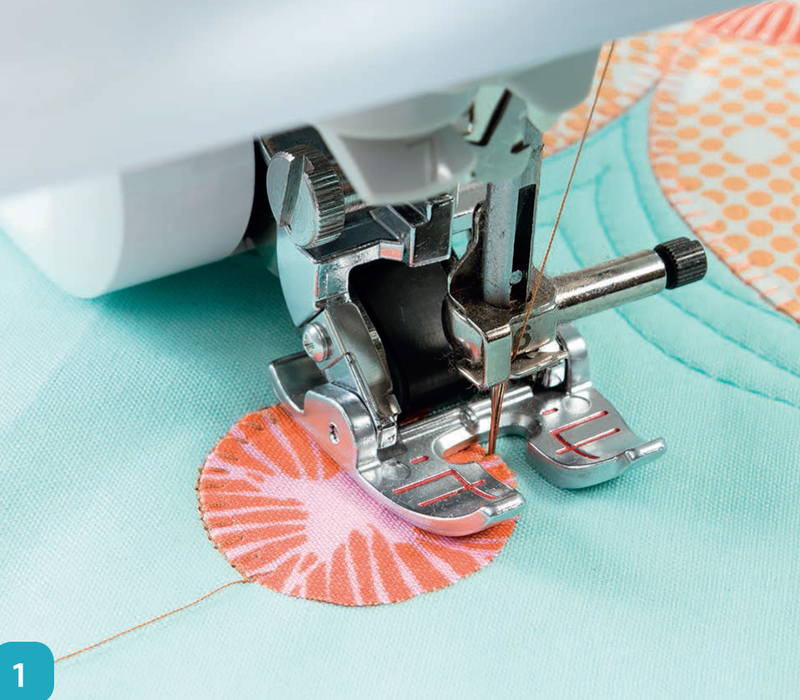 *FTC disclaimer: A digital copy of Teach Me How to Machine Quilt was provided by the publisher for my review. All thoughts and opinions are my own. "What Do You Do With All Of Your Quilts?" I make quilts. A lot of quilts. A Lot. A LOT! People have recently asked "How many quilts do you make in a year?" and "What do you do with all of those quilts?" Well, I make between 50-100 quilts in a year. Many of them are pattern samples for the Cutie quilts I design. Many of them are quilting samples for my quilting classes. A rare one or two is added to my home. Most of them, though, are given away. I give quilts as gifts for Christmas or birthday or weddings or whatever occasion demands a gift. I give quilts to babies, graduates, newlyweds, and those in need of comfort. Sometimes I give quilts to people I don't know very well just because it feels like the combination of "right person, right quilt, right time." In the last few days, I've given away several quilts. It is a scrappy version of my Stepping Stones Cutie pattern made with leftovers from this quilt. 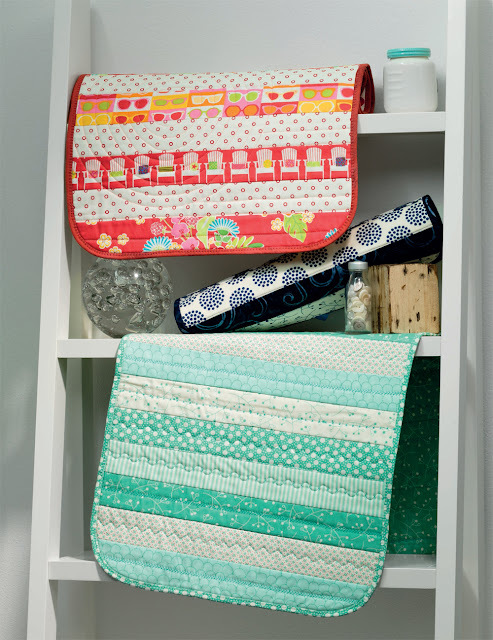 This is my Share + Share Alike Cutie pattern and I wrote about the quilt and fabrics here. More details about this quilt can be found here. I wrote about this quilt here. In summary, four quilts left my house in about 48 hours and found their forever homes. I don't do this every weekend, but this happens frequently. Quilts are twice a blessing: once to me, because I get to make them, and then a blessing to whoever receives them. 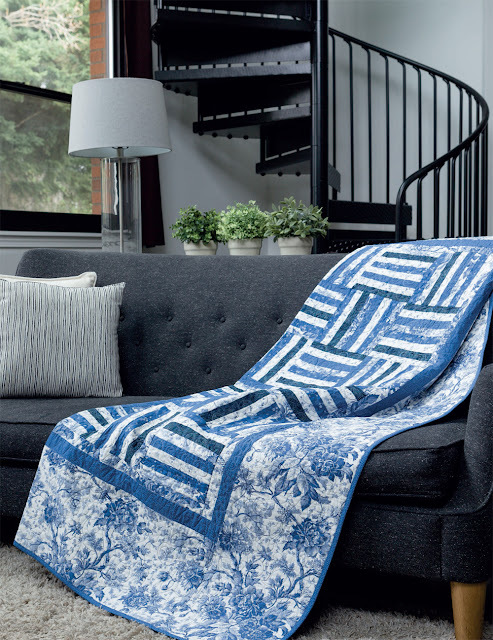 Do you makes quilts just to give them away? Do you decide ahead of time who might receive the quilt, or do you wait until the quilt is finished and see what happens? I'm an unapologetic list-maker and a voracious reader. When these two traits combine, I end up with lists of books that I want to read and lists of books that I've read. I just turned the page on my book journal and wanted to share with you some of the highlights of my most recent reads. This is one of the best books I've read this year. Josh wrote his memoir about being a reader, a member of the LDS church, a man with Turret's syndrome, and a strongman. This man has heart and I hope he continues to write about his life. If you want a taste of him, watch this interview he gave at the Hartford Public Library. The Amateur by Robert Littell. This was an excellent read. I read Littell's The Company and The Amateur was much faster-paced. I'm not a huge Dan Brown fan, but I read all of his books just to stay current. This is the only book of his that I like. It's rare that I get surprised by the story, but this book surprised me making it worth a mention. I've never read any of his books before, but I will certainly read more of his legal thrillers. I'm a sucker for any WWII novel and this one was beautifully written with characters I cared deeply about. I picked this one off the library shelf randomly and adored it more than I can say. I read the entire trilogy. It began better than it ended, but that could have been me and not the books. Hard to tell. I don't remember how I came upon this series but I'm so glad that I did. Now, I only wish that my library system carried the rest of this series on CD. I think I'm going to have to buy them for the library just so I can borrow them. Groundhog Day set in WWII. I loved this book. If only one life were recorded in this novel, I would have read it and loved it and enjoyed the beautiful writing. My friends weren't in love with the ending but I couldn't have been more satisfied with any other possible ending. I started reading this after watching the (less than satisfying) movie. The book was better. Way better. And I'm a total sucker for angsty young adult fiction. It was one of my FabuLux threads from WonderFil, Be Cool. It is a beautiful combination of gray, mint, and turquoise. Well, I had some fabric left from this quilt so I decided to make a pattern test/sample and see if it would work as a Cutie quilt. It did! 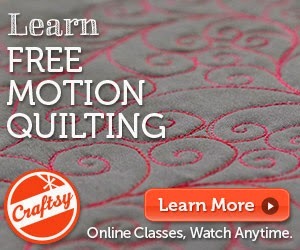 Would you like some machine quilting videos on how I quilted this pattern? Stay tuned! Waaaaaay back in time, my daughter-in-law and I went to Joyful Quilter for a mystery class day. Here's the STORY. My daughter-in-law made her blocks and handed it to me to finish. Much time elapsed (lots! ), but I've finally finished it! I used FabuLux Wisteria thread. 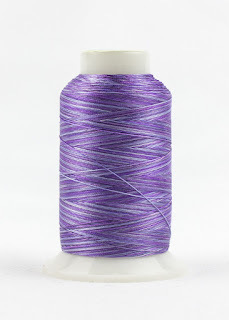 The color from the spool didn't look like a great match for the quilt since the quilt is rather purple/gray, but once it was quilted it was obviously the perfect choice! I'm so glad my daughter-in-law will finally get to snuggle with her quilt!